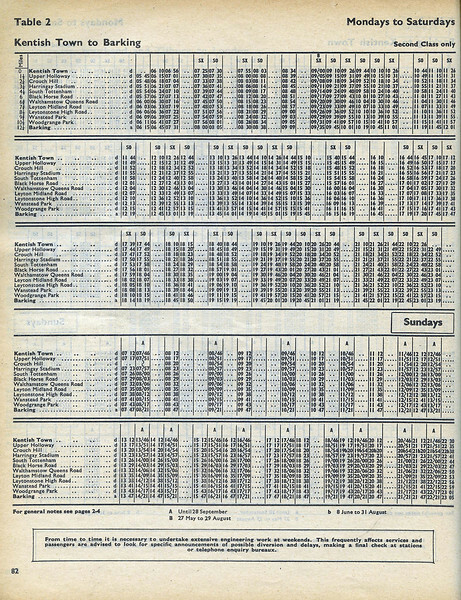 Today there's a train every 15 minutes 7 days a week over the Gospel Oak to Barking Line, in 1975 there was a hourly service on weekdays, half hourly on Saturday and on Sundays during the summer. I remember the line in those days, class 127 DMUs, the same used between St Pancras and Bedford, and tumbledown stations. A line forgotten.